Intel® Xeon Phi™ coprocessors, when combined with the Intel® Xeon® processor E5 family, will deliver unprecedented parallel performance, increasing the productivity and efficiency of high- performance computing. Efficient performance and a familiar programming model foster a thriving development community and extensive industry support from key OEMs, making high-performance computing easier to access for content creators, developers and scientists. Optimizing applications with tools such as Intel Cluster Studio XE 2013 helps achieve industry’s best performance per watt for high degrees of parallelism on Intel Xeon Phi coprocessors as well asa significant increase in productivity on Intel Xeon processors E5 product family. Ninety-one percent of all newly listed systems on the recently announced Top500 list of the world’s most powerful supercomputers are powered by Intel processors. 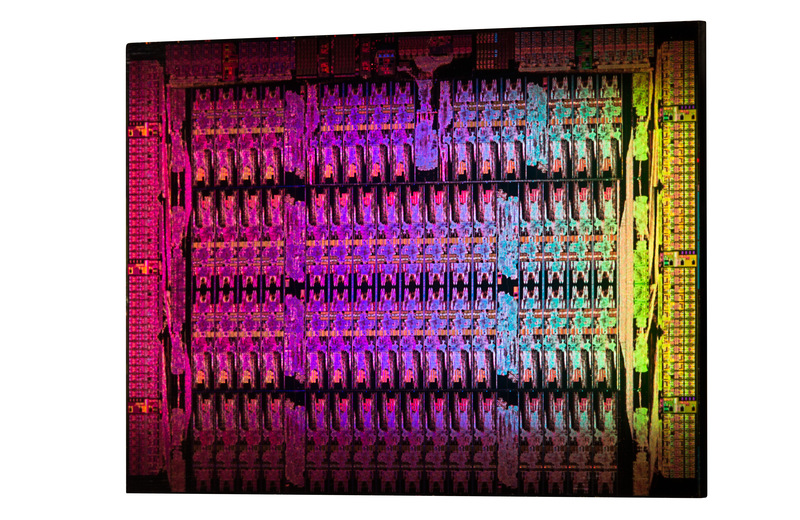 Intel Xeon Phi coprocessors are already featured in 7 systems including the most power-efficient supercomputer on the list –”Beacon” delivering 2.44 GFlops/Watt. SALT LAKE CITY, Utah, Nov. 12, 2012 – Marking a new era in high-performance computing, Intel Corporation introduced the Intel® Xeon Phi™ coprocessor, a culmination of years of research and collaboration, to bring unprecedented performance for innovative breakthroughs in manufacturing, life sciences, energy and other areas. The ability to quickly compute, simulate and make more informed decisions has propelled the growth of high performance computing (HPC) and analytics. This has been driven by global business and research priorities to more accurately predict weather patterns, create more efficient energy resources, and develop cures for diseases among many other pressing issues. With the breakthrough performance per watt and other new attributes of Intel Xeon Phi coprocessor, the industry will have even greater reliability in generating accurate answers, help proliferate high-performance computing beyond laboratories and universities and achieve maximum productivity. Based on the Intel® Many Integrated Core (Intel® MIC) architecture, Intel Xeon Phi coprocessors will complement the existing Intel® Xeon® processor E5-2600/4600 product families to deliver unprecedented performance for highly parallel applications. The Intel Xeon processor E5 family is a high-performance computing workhorse that has powered numerous Top500 systems to Petascale performance (1 quadrillion floating point operations per second). Now with Intel Xeon Phi products handling much of the “highly parallel” processing to help supercomputers produce answers for a wide range of scientific and technical disciplines such as genetic research, oil and gas exploration and climate modeling, Intel believes that this powerful combination will help blaze a path to Exascale computing, which would mark a thousand-fold increase in computational capabilities over Petascale. 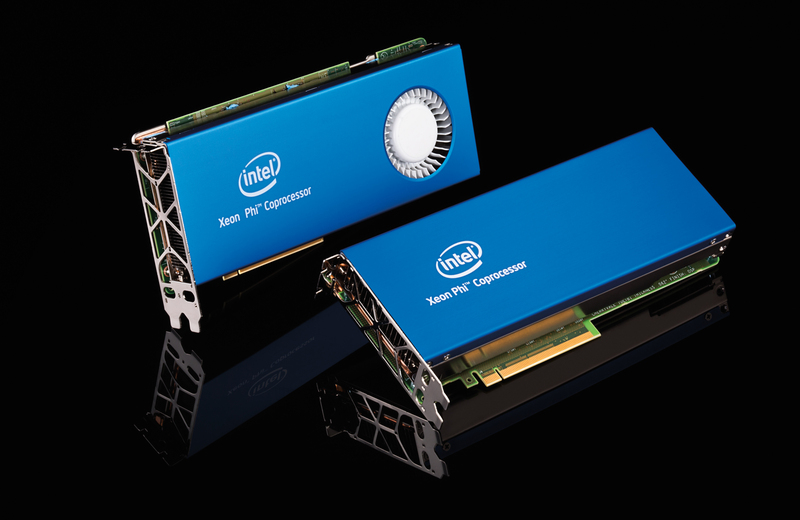 Built with Intel’s most advanced 22-nanometer, 3-D tri-gate transistors, Intel is introducing two new Intel Xeon Phi coprocessor families that provide optimal performance and performance-per-watt for highly parallel HPC workloads. More than 75 percent (379 systems) of the supercomputers on the 40th edition of the Top500 list are powered by Intel processors. Of those systems making their first appearance on the list, Intel-powered systems account for more than 91 percent. The November edition of the list had recorded seven systems based on Intel Xeon Phi coprocessors, including initial deployment of TACC’s “Stampede” system (2.66 PFlops, #7 on the list); ” Discover” system at NASA Center for Climate Simulation (417 TFlops, #52); Intel “Endeavour” system (379 TFlops, #57); “MVS-10P” supercomputer at the Joint Supercomputer Center of the Russian Academy of Sciences (375 TFlops, #58) “Maia” system at NASA Ames Research Center (212 TFlops, #117); “SUSU” system at The South Ural State University (146 TFlops, #170); and the “Beacon” supercomputer at The National Institute of Computational Sciences at the University of Tennessee (110 TFlops #253) that is also the most power efficient supercomputer on the list and delivers 2.44 GFlops per watt. The complete report is available at www.top500.org. Marking a new era in high-performance computing, Intel Corporation introduced the Intel® Xeon Phi™ coprocessor, a culmination of years of the research and collaboration, to bring unprecedented performance for innovative breakthroughs in manufacturing, life sciences, energy and other areas. Intel, Intel Xeon and the Intel logo are trademarks of Intel Corporation in the United States and other countries.